The main reason I wanted to write this review was as a kind of rebuttal to those saying these "should be called Halloween tales" or "just because the story takes place in winter does not make it a Christmas tale." A little historical knowledge goes a long way. If you look at the authors included, you can see that these include mostly the older Victorian authors. Those known for their darker tales. As one religious studies professor put it, “Christmas as celebrated in Europe and the U.S. was originally connected to the ‘pagan’ Winter Solstice celebration and the festival known as Yule. The darkest day of the year was seen by many as a time when the dead would have particularly good access to the living” Even in our most traditional and happy carols, we have lines like "There'll be scary ghost stories, and tales of the glories of Christmases long, long ago." pre Victorian Christmas ghost stories were definitely darker and had nothing to do with the commercial Christmas most of us celebrate today. That's what you find in this book... traditional Christmas ghost stories meant to teach lessons, that were around long before our cheery jingle bell celebration of happiness and joy came about. I think having a good understanding of this makes the listener appreciate each and every one of these tales. This is some of the best writing from some of the world's best authors. They inspire and show Christmas for what it was in times past. The narration is on point and very enjoyable. I personally could do without the carols... but that's just me. I certainly won't mix this in with the more celebratory Christmas recordings I have... but listening to these stories occasionally, creates a different mood that can be both enjoyable and introspective. I think an article from the Smithsonian describes it very well: "Though to modern eyes, Halloween might be a more appropriate holiday for ghosts, Christmas makes sense. As Dickens wrote, the ghosts of Christmas are really the past, present and future, swirling around us in the dead of the year. They’re a reminder that we’re all haunted, all the time, by good ghosts and bad, and that they all have something to tell us." filled with many varied items this collection has stories that I look forward to reading every year and some I had never heard before but all top class authors. Mr Harrison has a pleasant light tenor. The only thing I disliked was not being able to easily find a specific story. Likely recorded over a span of time that might even be years, I suspect, because the recording/editing quality varies from story to story and Harrison's skills wax and wane a bit. But by the time I got to "A Christmas Carol," I thought this quite an accomplishment, to render such disparate writers' styles and give a considered, performative weight to their each and every phrase. The collection is heavily weighted toward Dickens, but besides A Christmas Carol, the Cricket on the Hearth (also a novel) was among my favorites, as was the short story by Tolstoy. Oh, and the Fitzgerald! That was a surprise — and also expertly narrated. I listened to this from about Christmas Eve and finished just after Epiphany, so it helped me keep the twelve days of Christmas fresh and meaningful. I found several of these stories very enjoyable to say the least. It ws very fun to listen to some other stories instead of the Christmas carol. Some of the stories are a little dark in nature but others are great. If you have the time and want to be in the Christmas mood give these a chance. This compilation contains some I have heard before and many I had not. It is a magical experience to hear many of these classics at Christmas time. Some deal specifically with Christmas and some, like Arthur Conan Doyle's Adventure of the Blue Carbuncle, only allude to the season. This does not detract from the beauty of the stories. This audiobook will be a yearly treat that I will enjoy from now on. Excellent seal action of stories to warm your heart! This collection has stories that I have heard all my life. I enjoyed them as much now. I spent the day knitting presents and listening. It was a very good day! There were some worthwhile stories, a couple funny stories and some entertaining carols sung by authors, but unfortunately for me there were more bad stories than good. I would be remiss in not mentioning that the narration was excellent! This collection of literature included too many dark tales to be called a Christmas collection. I agree with another reader that said just because story takes place in winter does not make it a Christmas tale. As a Dickens fanatic, I have to say that I have never heard “A Christmas Carol” read this well by anyone. It’s insightful and thought provoking. Harrison interprets as he reads. There is a slight buzzing on the recording, but I still give it a 5, it’s that good!! Wonderful performance. Warm and entertaining! 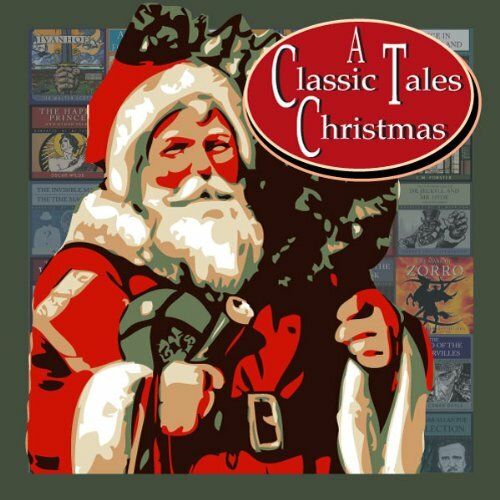 Every year I listen to this audiobook and it makes Christmas feel like Christmas once again! I can't really say how good the stories are as the narrator is so annoying I couldn't listen to any of them in full. I gave up at around a quarter of the way through this book. In that time there were crime stories, ghost stories, 'Do you see what I see?' sung in the style of Jeeves and Wooster, no story just someone singing the song, and the life of Christ as written for his children by Dickens. This last took about around 12% of the total running time of the book, and while The Nativity is the very basis of Christmas, that was finished in a few minutes and the next hour and a half was effectively a children's paraphrased reading of a gospel. If you are looking for uplifting Christmas cheer then murder and goblins in a graveyard, which just happen to be set at Christmas, are probably not what you want.